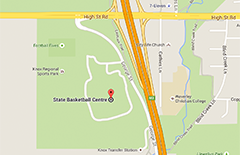 Australia's men's and women's teams claimed Gold at the 2009 FIBA Oceania Tournament in Saipan yesterday. 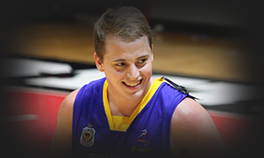 The Australian Men defeated New Caledonia 62-44 while the women trounced New Zealand 68-45. Thomas Daly was named in the men's All Star Five for the tournament, Caitlin Rowe for the women, despite sitting out one of the games. The Women’s game started as a tight contest; Australia only leading by two points at the first break 17-15, but the damage was done in the second quarter. Australia blitzed the Kiwis 26-2 in the second quarter and New Zealand never recovered. Rebecca Cole led the Aussies with 18 points and nine rebounds, supported by Caitlin Rowe who posted 16 points and 11 rebounds. The Australian Men started their game in stunning fashion, running out to a 19-7 lead at the first break. But New Caledonia made a comeback in the second term, reversing the momentum and outscored the Australians 15-6 for the quarter. Australia wrested control back in the third to go 20-10 for the term and lead 44-32 and continued on in the fourth term to take the win and the Gold medal. Australia inched closer to the championship in the men's and women's divisions of the 2009 FIBA Oceania Basketball Tournament after advancing Gold Medal rounds on Thursday, writes Roselyn Monroyo for The Saipan Tribune. Australia's women's team gained the first title seat following its 68-33 demolition of Guam at the Gilbert C. Ada Gymnasium. 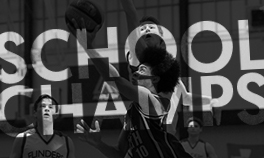 Over at the Marianas High School Gymnasium, New Zealand booked the second finals ticket after thumping New Caledonia, 71-39. In the men's division finals, it will be Australia vs. New Caledonia for the Gold medal. Australia topped New Zealand, 78-49, at the Ada Gym, while New Caledonia clobbered Guam in the other semis game at the MHS Gym, 78-47. 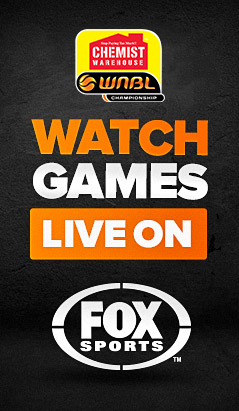 The gold medal game between Australia and New Caledonia were also played last night. The Australia-New Zealand semis game was close only in the first quarter before the Down Under players took over midway in the second period. New Zealand even took a 23-19 lead behind Jordan Mills' back-to-back triples and Duane Bailey's layup, but Jeromie Hill anchored Australia' comeback to take the driver's seat at halftime, 36-31. Hill nailed eight points in the second period, while Kurtis Phillips added six. Australia then widened the gap in the third period after limiting New Zealand to a field goal in the first six minutes of the period. The Kiwis were having a hard time penetrating Australia's interior defence and the former's outside shots were not going in either, most of the time. When Mills finally broke New Zealand's silence with his triple, Australia was already ahead by double digits, 46-36, with 3:49 left in the third period. Both teams slowed down in the remaining three minutes of the third period, but Australia managed to increase the lead to 12, going into the final term, 50-38. 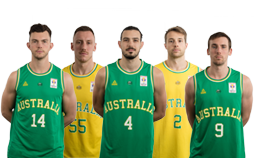 The Aussies put the finishing touches to their fifth straight win in the tournament with their good shooting from downtown and breakaway layups, as New Zealand's defense started to loosen up. Point guard Thomas Daly tallied two triples, while Phillips and Reece Maxwell nailed one each. Maxwell and Hill also walked away with easy layups in the final canto, while Australia's defence was unforgiving at the very end of the game, not allowing New Zealand to score in the last 48 seconds of the fourth period. Hill finished with 22 points, while Phillips added 17. Mills top-scored for New Zealand with 16 points. The CNMI-Australia duel in the men's division of the 2009 FIBA Oceania Basketball Tournament was a proverbial David and Goliath tale with a different ending on Tuesday, writes Roselyn Monroyo for The Saipan Tribune. CNMI's slingshots were not powerful enough to down the mighty Australians, who walked away with a 107-41 victory. The win allowed Australia’s men’s team to sweep the elimination round and secure the top seeding in the playoffs. With Australia lording it over in the paint, the team out-rebounded the CNMI Men's Nationals, 75-27. Australia's towering frontliners had an easier time attacking the CNMI's defence or the lack of it, resulting to the Australians' 42-for-81 two-point field goal shooting. The CNMI had a dismal 13-for-55 clip. Overall, Australia went 46-for-92, as it added four triples, while the hosts recorded 16-for-76 after going 3-for-18 from downtown. The game was decided as early in the first quarter when Australia took a 28-10 lead. Australia scored most of its points inside, while the CNMI struggled, as it had to change its shots in midair when facing the long arms of Australian defenders. On several occasions, when CNMI players had the opportunity to drive to the baskets, they were still forced to kick the ball out after being trapped by taller, but quick Australian defenders. “The good thing about our game against Australia was we were able to run some of our plays. We just can't complete them. 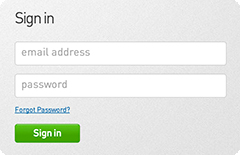 Fitness-wise, we can match up with them, as we can run the floor, too,” Aguon added. Australia put some life in the one-sided affair with a couple of dunk shots. Jeromie Hill, who had his first slam in the second quarter, made two in the fourth, with the last one, moving the crowd up on their feet, as the 6'9” giant hanged on the rim for a couple of seconds after a two-handed jam in front of Jomary Tumaquip. Hill finished with a game-high 22 points. Sean Mullan also had a two-handed slam in the fourth period and tallied 12 markers. Jericho Cruz paced CNMI with 13 points and was the lone double figure scorer for the hosts. Pete Iguel, who scored 19 against Guam, was held to four points, as his slashing moves and long jumpers did not work against Australia's giants. In other results in the afternoon games, Australia's Women’s team topped New Zealand, 77-62, in their closest game of the tournament, to remain on top of the women's division with a 3-0 record. The Aussies asserted themselves from the start for a 19-12 lead at quarter time, but the Kiwis fought back within four points at halftime. Australia stepped up another level in the third quarter, to establish a comfortable lead, helped by their dominance on the boards, 50-37 for the game. 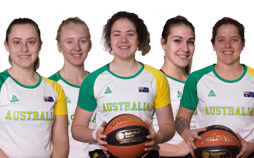 Caitlin Rowe led the Australians with 18 points and 12 rebounds, with support from Rebecca Cole who also posted 18 points, and Cassandra Mangos who grabbed a game high 13 rebounds. 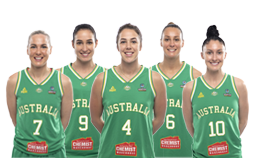 The Australian women will go for a sweep tonight against the CNMI cagebelles. New Zealand will collide with New Caledonia in the other women's game for the No. 2 and 3 spots in the team standings. Guam had completed its assignments in the elimination round and will advance to the Top 4. The CNMI cagebelles are out of the medal round. 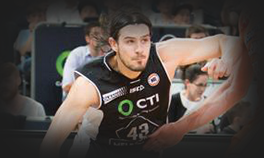 In the men's division, New Zealand hopes to recover from a 52-62 loss to New Caledonia last Monday when the Tall Blacks face Guam at 3pm. A New Zealand win will put the team to the No. 3 spot and relegate Guam to No. 4. 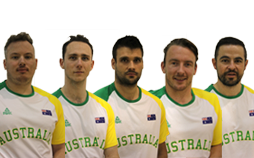 The Australian men have a bye today before the finals begin on Saturday. In the semifinals tomorrow, the No. 1 team will be paired against the No. 4 squad, while the No. 2 and 3 teams will battle in the other semis pairing. 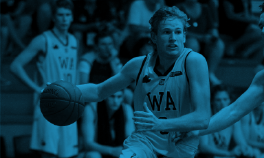 The young Australian Men's team held on for another gritty win at the FIBA Oceania Tournament in Saipan yesterday. 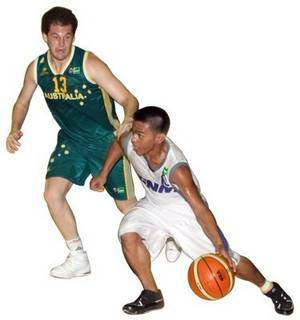 Australia and New Caledonia provided the most exciting game so far in the 2009 FIBA Oceania Basketball Tournament after the Aussies pulled off a 60-57 victory over the French colony yesterday at the Gilbert C. Ada Gymnasium, writes Roselyn Monroyo for The Saipan Tribune. “It was another tough game, tough win. I hope this does not turn into a habit,” Australian head coach Paul Goriss told Saipan Tribune in an interview after the game. Goriss' wards came off a 57-42 win over Guam in Day 1 of the tournament last Sunday with the Australians recovering from the slow start just in time to foil an opening day shocker. Against the much physical New Caledonia players, Australia controlled the game from the opening tip before the Francophone cagers rallied in the last two minutes of the game. “There were a lot of pushing, fighting off screens. Our younger players played against men and they are not used to it. Hopefully, these two close wins will make them realize that what we have here is a tough competition and you have to be prepared physically and mentally to win tough games,” Goriss added. From a 58-50 lead, entering the final two minutes of the match, the green and gold team saw their lead cut to three, 57-60, with 54.1 seconds left in the game. Two backcourt violations from Australia resulted in two converted free throws by Emmanuel Souria-Ouamt and a layup by point guard Stephane Saminadin. After New Caledonia moved within four points, 54-58, Australia got some breathing room when Thomas Daly (pictured, right) fed Bradley Simpson for an alley-oop, 60-54. Souria-Ouamt countered with a triple to threaten anew, 57-60, with less than a minute left in the game. New Caledonia had several chances to move closer or tie the game when Australia missed in its last four trips to the foul line, but the French cagers also muffed triples and inside shots in the ensuing plays. Two misses from the 15-foot line from Daly gave New Caledonia one final chance to send the game into overtime. However, Daly made up for his earlier booboo when he stole Raymond Weber's inbound pass to Saminadin in the last 1.2 seconds of the match to preserve the win for the Australians. Australia now leads the five-team tournament with its 2-0 record, while New Caledonia dropped its debut. The Australian Women’s team had a bye yesterday but take the court again today against Guam. The Men’s team must recover to play New Zealand at 10.00am today. You can follow the Aussies in action with LIVESTATS here. Australia's men's and women's teams have both secured victories in the first round of the 2009 FIBA Oceania Tournament in Guam. Australia's men's team rallied from a slow start to foil Guam's upset bid in the opening day of the tournament yesterday at the Gilbert C. Ada Gymnasium, writes Roselyn Monroyo for the Saipan Tribune. The Aussie men struggled playing on an unfamiliar court and in humid conditions, but managed to recover for a 20-6 final term to take the 57-42 victory over Guam. Tom Daly top-scored for the Australians with 15 points while Jeromie Hill added 11. Guam’s Joe Blas led all scorers with 16 points . The Australians only won the game in the last five minutes; Guam was within four points, 44-40, with only 4:23 on the clock. Guam stunned Australia in the first quarter, taking an 18-12 lead, with William Stinnett sparking the team's good start, firing eight points. The Australians committed several turnovers in the opening canto and could not get their outside shooting and inside game going. Adjustments were made in the second quarter and Sean Mullan anchored Australia's comeback. However, with Joe Blas scoring six straight points for Guam, the U.S. territory kept the lead at halftime, 26-25. The third quarter continued to be a slow game for both teams, offensively, as they traded errors. Finally, Australia grabbed the upperhand with Jeromie Hill's basket, 37-36. The fourth period was a close match until in the last four minutes of the game when Guam could no longer hang on, allowing the Australians to escape with the 15-point win. Guam made only six points in the fourth period, after it was forced to shoot from outside, as Australia's bigs ganged up on them inside the paint. Guam was held to a solitary field goal in the last 4:23 of the game. In contrast, the Aussies had a 13-2 windup with Tom Daly and 6'11” Cameron Bairstow drilling five points apiece. 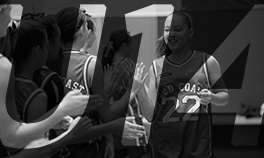 In the women's division, Australia had an easier debut, routing New Caledonia, 77-19. New Caledonia scored the first basket of the game with less than a minute gone by in the opening period. However, it was an all Australian show after that, as they finished the first period with a whopping 20-3 lead. The next three quarters saw Australia outgunning and out-rebounding its foe for the lopsided win. Hope Terdich led the Aussies with her 13 points, while Caitlin Rowe chipped in 12. Today the Australian Men will play New Caledonia while the Women have a bye before continuing their campaign on Tuesday against Guam. 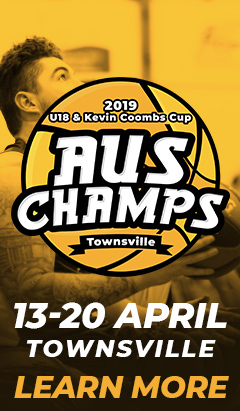 Australia's men's and women's teams selected to compete at the 2009 FIBA Oceania Championships will depart for Saipan tomorrow. 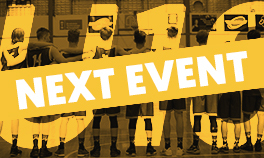 Australia will be competing against teams from New Zealand, New Caledonia, Guam and the Commonwealth of the Northern Marian Islands from June 21-27. Australia is sending both a Men’s and Women’s team to the tournament, with ten players in each side. 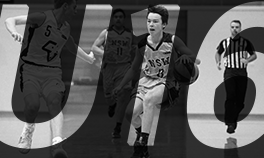 The Women’s team will be led by former Opals Assistant Coach Peter Lonergan and Australian Institute of Sport Men’s Basketball Assistant Coach Paul Goriss will lead the Men’s team. 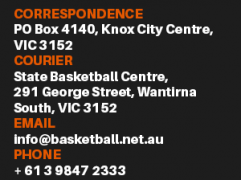 The experienced women’s side includes five players with WNBL experience, Hope Terdich, Caitlin Rowe, Rebecca Campigli, Emma Lobb and Catherine Guest. 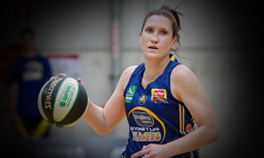 Terdich, Campigli and Guest were all on the Dandenong Rangers’ roster while Lobb played for the Perth Lynx and Rowe represented the AIS. 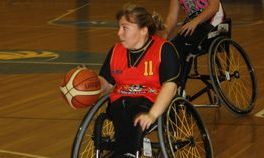 Cassandra Mangos, Nicole Seekamp and Rebecca Cole have all played on the international stage together after winning a gold medal at the 2009 Australian Youth Olympic Festival. 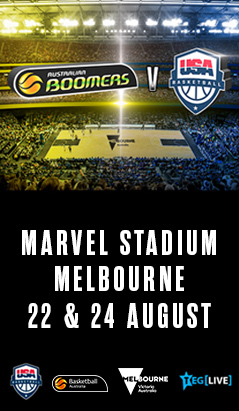 The men’s team includes AIS teammates Cameron Bairstow and Jeromie Hill.